As you hold back the tears, desperately trying to convince your Xbox One and PS4-playing friends that the Ouya you got for Christmas is "the real next gen", don't forget to mention that it didn't cost a single penny. 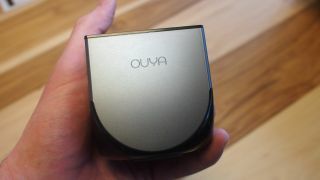 According to a tweet put out by Ouya, you can shell out for the console from your precious reserve of Bitcoins. Unfortunately you can't use the electronic currency to pay for games just yet though. As if this guy wasn't feeling bad enough already. But how many Bitcoins can you buy with a blip?